Swedish group Vox Archangeli on their debut album Sanctus: Michael. 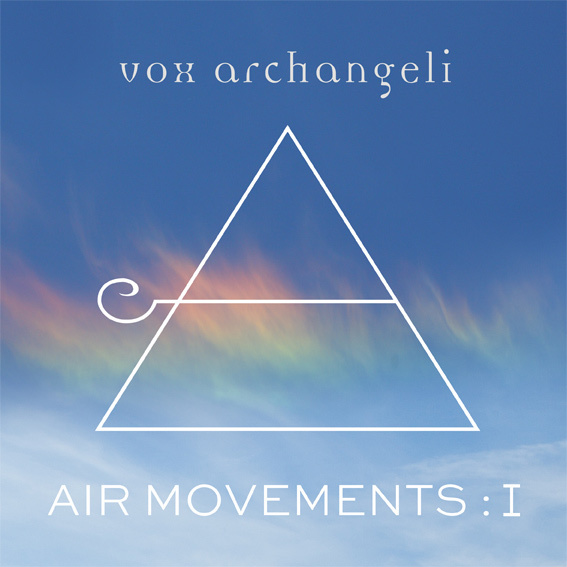 On the fourth album, Air Movements:I, the atmospheric instrumental music is lifted to new heights. On the album, the producer and organizer Peter Nordahl together with producer and composer Moh Denebi creates music that floats heavenly above the clouds. Air Movements XIV: Now We Are Free is, for example, an emotional processing of the theme song to the five-fold Oscar-winning movie Gladiator. – The music is soulful, sometimes playful, healing and has beautiful melody tracks, says Vox Archangelis singer Anna Pihl Lindén and singer/flutist Pär Lindén. It contains a lot of mystery and is worn like angel wings between the heavens. – We hope that our music can give impulses and inspiration to feel,dream and reflect. Grammy winning Dan Sundqvist (Uno Svenningsson, Freda, Reeperbahn etc. ), two-fold Grammy nominated Claes Olson, Örjan Högberg and Mattias Halldén from Fläskkvartetten and Daniel Palm and Jonas Strömberg. the basis of the events, says Anna and Pär. To work with this music has also given them tools and inspiration for new and different ways. In an innovative way, Vox Archangeli places the millennial Gregorian monastery in modern electronic soundscapes. In cinematic mood-creating arrangements created a imaginative mix of echoes from Hildegard von Bingen’s 12th century with folk music, pop, rock and electro. With all their pioneering albums Sanctus: Michael, Sanctus: Gabriel and Sanctus: Raphael as EP Sapientia and single Archangelus Gabriel they have climbed on the Swedish sales list, while attracting attention both around Europe and the US, Mexico and Dubai.